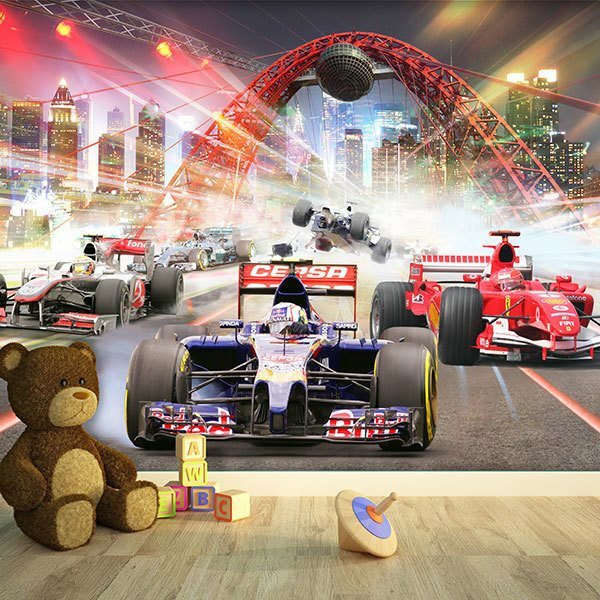 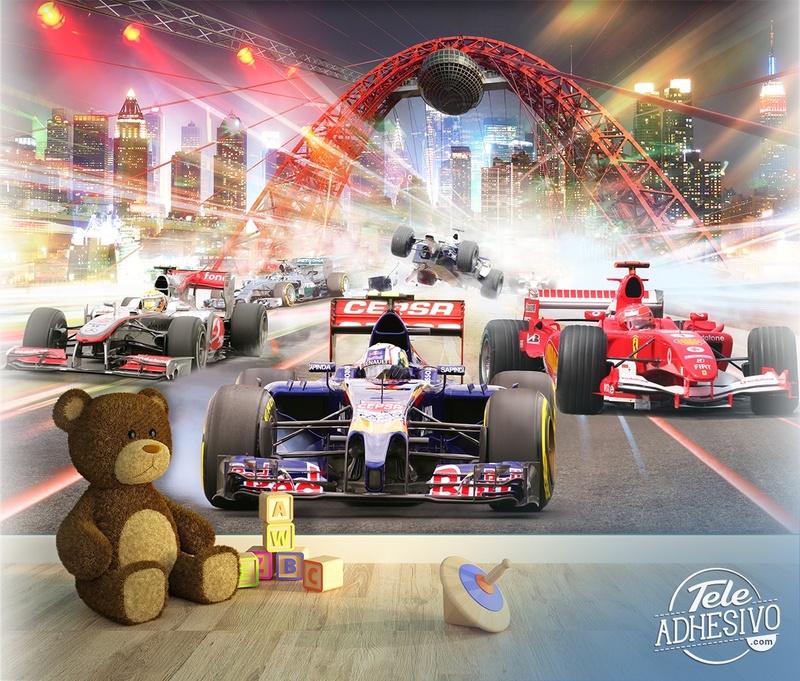 Wall mural Formula 1 race. 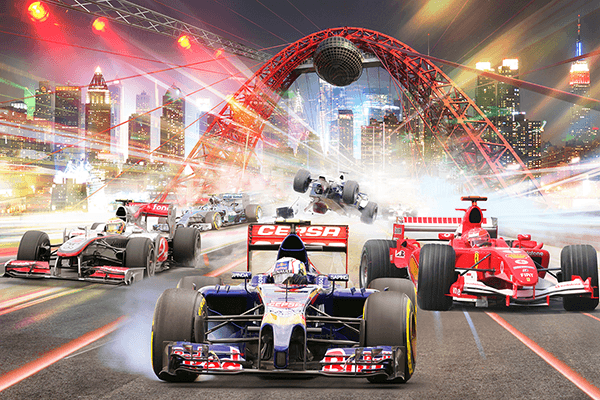 Fascinating scene of a Formula 1 car race with a McLaren and a Ferrari behind a RedBull team car. They have just gone through a tunnel when an accident occurs after the first cars during the night race at Singapore's Marina Bay circuit.